Why tow a large compressor to the site if you don’t need to? 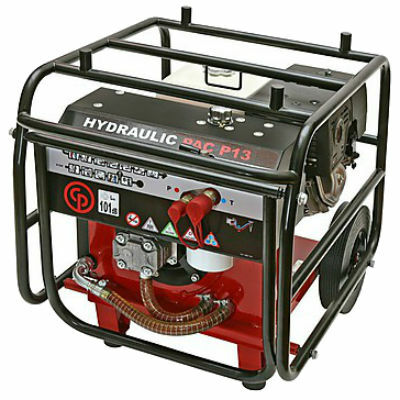 The CP hydraulic power pack couldn’t be more convenient. For site-to-site transportation, two people can lift it into a van. On-site, the CP power pack can easily be wheeled around by one person. This unit delivers portable hydraulic power where you need it, allowing you to run any number of work site tools. The thermostatically controlled oil cooler gives fast warm-up and helps prevent the hydraulic oil from overheating. Correct working temperature is achieved within minutes – even during the winter. The variable flow on/off valve ­enables simple tool change and slow start up. A gauge shows when it’s time to change the filter.